If it’s an antique rustic feel you’re trying to create in your outdoor space the reclaimed teak is definitely the timber for you. 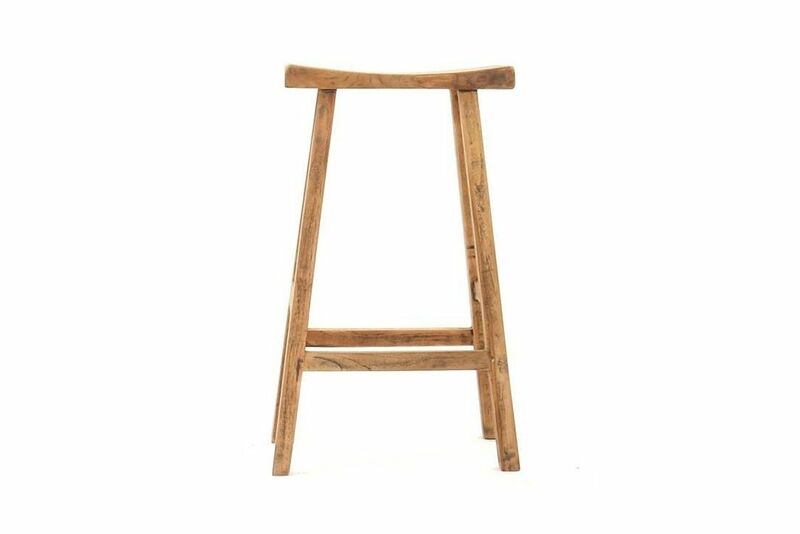 Genuinely reclaimed from old ox-carts, fence posts, railway sleepers and the like the teak is then hand cut and finished to form beautiful pieces of outdoor furniture such as this Reclaimed Teak Bar Stool. The simplistic design works perfectly and serves to highlight the graceful nature of the reclaimed timber itself. The finish is super-smooth and this is further highlighted with the application of a subtle black wash. It is naturally high in oil content and has a dense grain making it less likely to crack and split over time in differing outdoor temperatures. Reclaimed teak has already been through an ageing process meaning the natural protection is already in effect.